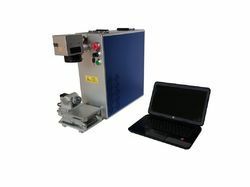 Providing you the best range of fiber laser engraving machine, uv laser engraving machine, diode laser engraving machine, laser engraving machine and medium power co2 laser engraving machine with effective & timely delivery. Due to our industrial experience and knowledge, we are engaged in manufacturing, supplying of the premium quality of Fiber Laser Engraving Machine. 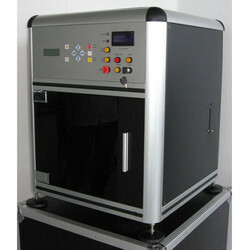 We are offering UV Laser Engraving Machine. We are appreciated and known among our customers for manufacturing and supplying the optimum quality of Diode Laser Engraving Machine. 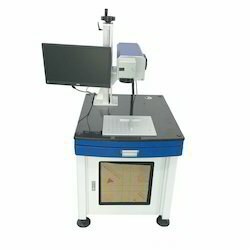 Laser Engraving Machine are suitable for marking on Glass, Crystal etc Any 2D / 3D images can be execute through computer Properly Distributed fine high resolution process makes images very smooth and Clear. Surface and Sub surface engravers are basically for Craft works, Photography and best suitable collections of long lasting images. 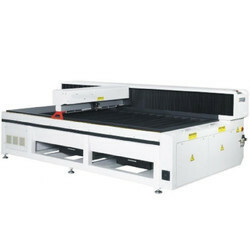 It is most economical and powerful cutting and engraving machine Low cost maintenance of the system High performance CNC with highly accurate linear motion control.